The ARCH+ issue 231 ("The Property Issue") discusses social and political perspectives for a new architecture practice and focuses on the issue of land with regard to ownership structures and access possibilities as the basis for the production of space. Together with Ilkin Akpinar, I put together the land policy glossary that explains the most important legal terms. To do so, we researched topics like land funds, land reserve policy, land value tax, the tax on increases in land value, heritable building rights, planning compensation of values and right of first refusal. Our task was to go through the text of legislation, to make the material interesting to readers and to create cross references. It was important to us to provide an overview of the control mechanisms of public authorities, whereby the focus was on collective development models such as the community land trust, housing cooperatives or apartment building syndicates. The example of the property tax, which continues to be calculated on the basis of antiquated land values, illustrates the topicality and need for land reform. To me it was particularly exciting to see how an initial idea is turned into a finished article: how decisions related to content and layout were debated by the editorial staff, texts were proofread and image concepts were developed. It was a delight to hold the first ARCH+ issues with one of my articles in my hands. 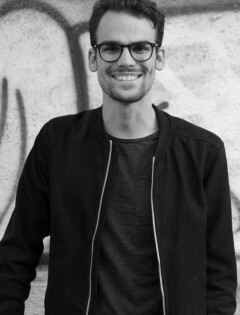 Lorenz Seidl studies architecture at the Technical University of Vienna and his work experience includes a stint at NMPB Architekten in Vienna. During his studies, his interest shifted from practical construction issues toward theoretical, urbanistic questions – primarily by intensely dealing with city and territory at the Institute for Urban Development. Lorenz is interested in a critical architectural position that increasingly focuses on people and society.